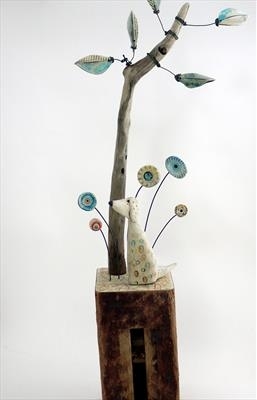 Hand built components assembled together to make a lovey freestanding sculpture. Has silicon feet to protect surfaces and makers stamp. 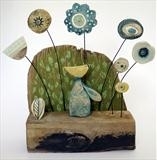 sculptural assemblage hand made by shirley vauvelle. Little dog sat under a tree.